The United Nations on Friday lauded Ethiopia’s move to grant its large refugee population the right to jobs, schooling and bank accounts. “The passage of this historic law represents a significant milestone in Ethiopia’s long history of welcoming and hosting refugees from across the region for decades,” U.N. High Commissioner for Refugees Filippo Grandi said in a statement. Ethiopia hosts refugees from conflict-wracked neighbors like South Sudan and Somalia along with authoritarian states like Sudan and Eritrea. “As some western countries have adopted xenophobic policies while turning away refugees, we are pleased that Ethiopia has passed this revised refugee law,” said Stine Paus, the Norwegian Refugee Council’s director in Ethiopia. The head of the country’s investment commission Abebe Abebayehu said the revised law is part of a plan to spur employment in Ethiopia, which despite rapid economic growth still struggles with one of Africa’s highest rates of poverty. The move “is designed to create jobs and economic opportunities for Ethiopians and refugees living in Ethiopia,” he wrote on Twitter. 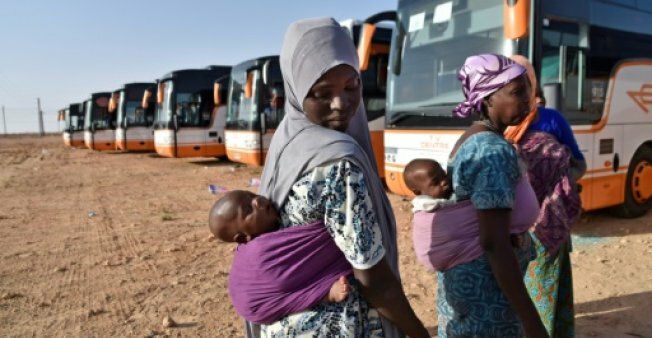 Africa’s second most populous country has been struggling with its own displacement crises in recent months as ethnic clashes have broken out across wide swathes of the country. Around 1.4 million Ethiopians fled their homes due to violence in 2018, one of the largest numbers in the world. One thousand three hundred eighty-six migrants have died in Africa this year, according to a new report by the Missing Migrants Project (MMP). These deaths — from starvation, dehydration, and lack of access to medicine– are inflicted by the traffickers migrants hire for transport, smuggling practices, and the physical terrain. The search for jobs is a “major driver” for migration within Africa, according to Brookings, although reasons forcing people to migrate may vary and include conflict or political instability.